Brazil's highest court rejected former president Luiz Inacio Lula da Silva's request Thursday to not go to prison. He is appealing a corruption conviction. He faces a 12-year sentence for accepting bribes. He may be jailed within one week. Lula is still Brazil's most popular politician. He served as president from 2003 to 2011. He is now leading in all public opinion studies for the presidential election this October. But his conviction will likely prevent him from running. The decision against Lula may seriously affect the future political career of Brazil's first working-class president. Lula rose from working in a factory to the highest political office in the country. But corruption charges have strongly influenced the political environment in Brazil, especially Lula's Workers Party. The party held power from 2003 to 2016. Lula's conviction was upheld on a first appeal. Under Brazilian law, a candidate is not permitted to run for elected office for eight years once found guilty of a crime. Some exceptions have been made in the past. But the final decision in Lula's case would be made by the top electoral court if he officially files to be a candidate. He has said he wants to run for the presidency again in October. Lula oversaw years of strong economic growth in Brazil. His supporters see the conviction as an attempt to stop him from returning to power. Lula was found guilty of corruption in August 2017. He was sentenced to 10 years in prison for accepting bribes worth $1 million from the engineering company OAS. 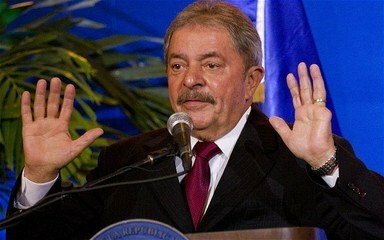 Prosecutors said the money was spent on an apartment for Lula. In return, Lula helped OAS establish business agreements with the state-run oil company Petrobras. In January, all the members of an appeals court upheld his conviction. The court increased the prison sentence from 10 years to 12 years. This week, he signed a proclamation authorising a presidential election in January. Mr Brown did not want to run for governor of the state last year. 5.He served as president from 2003 to 2011. He was served as a general. Newspaper serves me as a curtain. 6.Prosecutors said the money was spent on an apartment for Lula. Your debts are their assets, and every penny spent on interest goes towards making them wealthier. If you want to be thorough, do this for a week, and calculate the percentage of your total time that you spent on each type of activity.